On Tuesday, a hearing was held in the National Security Subcommittee on "New Horizons in US-Israel Relations: From the Transfer of the Embassy to Jerusalem to Recognition of Israeli sovereignty." The discussion was initiated by Congressman Ron DeSantis and took place following the remarks made last night in Helsinki by US President Donald Trump and by President Vladimir Putin regarding the 1974 separation of forces agreement and their joint concern for Israel's security. Dr. Dore Gold, president of the Jerusalem Center for Public Affairs and former Israeli Ambassador to the UN, who was summoned to testify by Congressman DeSantis, said he believed that the commitments of the agreement by US Presidents Gerald Ford, George H.W. 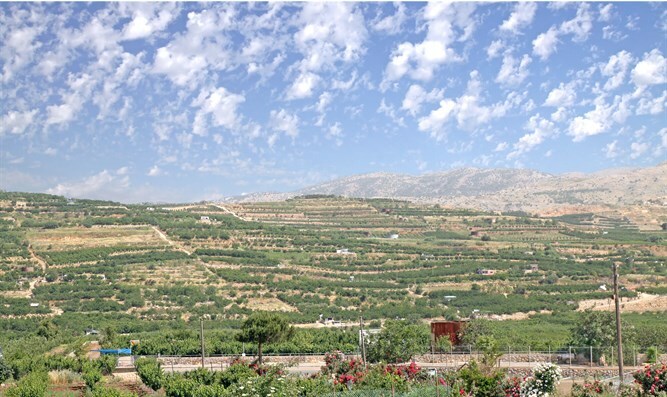 Bush, and Bill Clinton that the US had not formulated its final position on the Golan Heights were now outdated and that it was time for the US to recognize Israel's sovereignty over the Golan. "What are Israel’s potential sources of concern? They are twofold," Ambassador Gold said. "First, there are the Syrian armed forces themselves. With the Syrian civil war reaching conclusion and the Syrian ground forces severely degraded, this might not seem an alarming scenario for Israelis at present. But it would be a cardinal error to base Israel’s planning on a snapshot of reality that will not be relevant in a few years. For given the proclivity of Middle Eastern regimes to spend their resources on military acquisitions, the eventual recovery of the Syrian army must be anticipated. In light of Russia’s role in saving the Assad regime, massive Russian arms transfers to the Syrian armed forces will likely provide the basis for the renewal of Syrian military power. "There has been a second source of concern for Israel: the deployment of expeditionary forces by third parties on Syrian soil. In 1973, for example, Iraq dispatched an expeditionary army, consisting of one third of its ground order of battle, to fight Israel in the Golan Heights. Today, the primary concern with Iraqi formations entering Syria has been replaced with a new focus on the role of Iran in converting Syria into a satellite state that will host Iranian forces. "In addition, Tehran has been creating Shiite proxy militias, modeled on the basis of Lebanese Hizbullah, using manpower from a number of countries including Lebanon, Iraq, Yemen, and Pakistan to take up positions in Syrian bases. The Iranians have deployed elements from the Fatemyoun Division which is made up of Afghan Shiite refugees. As reported as recently as July 11, Hezbollah and Iran-handled Shi’ite militias are integrated into the Syrian army in its campaign to take control of south Syria." Congressman De Santis said during the hearing: "Just think how insane it is to transfer the Golan Heights to Assad or other forces operating in Syria. It's just crazy."